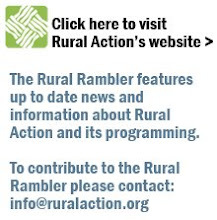 The Rural Rambler: Calling All Photographers! It’s time again to get out your camera gear and capture of all summer’s beautiful colors. Huff Run is once again hosting its annual photo contest. Currently in its seventh year, the contest is open to amateur photographers, and photos must be taken within the Huff Run Watershed. All photographs entered will be recognized and displayed throughout the region and cash prizes will be awarded to the winners. Judges will select first, second and third place winners based on aesthetic value, technical merit, and composition. The judges will include the Norma Johnson Nature Center Director, a professional photographer from Celuch Photography and the Mineral City Elementary School Art Teacher.